We believe in the importance in community involvement, and giving back to those that need it most. Star is a Monster (not really)! 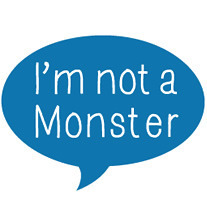 She participates in the I'm Not A Monster annual Monster Holiday Drive! 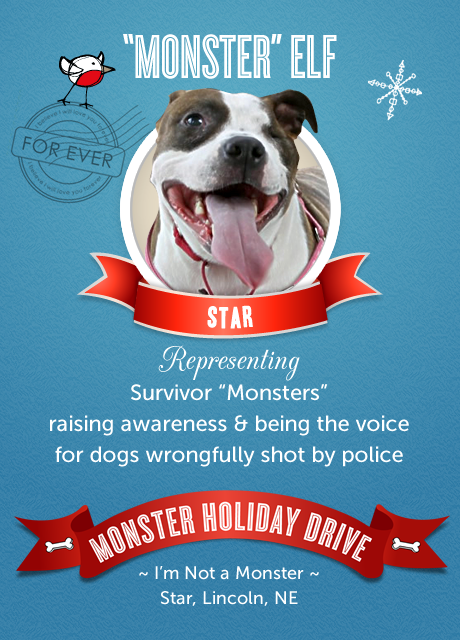 Dubbed the Survivor Monster, she raises money and donations for The STAR Project, as well as local rescues in need! The Philadelphia No-Kill Coalition is a group of animal welfare organizations committed to making Philadelphia a place where no dog or cat is killed for space. We're proud to be a part of such an exciting movement! Star participated in the 2015 PuppyUp! Omaha walk to promote awareness for canine cancer. Her team, The Walking Stars, raised over $500 for the cause! The STAR Project is proud to be a partner of My Pit Bull is Family! 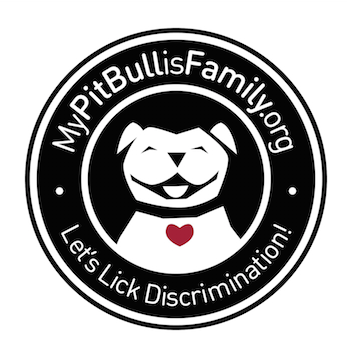 They work tirelessly to end breed discrimination, and offer resources for Pit Bull owners.